"A man who won't die for something is not fit to live. " The Martin Luther King, Jr. assassination, which occurred on the 4th day of April in the year of 1968, has resulted in over forty years of rumors, accusations and allegations. Martin Luther King, Jr. is often hailed as the leader of the movement known as the “African-American Civil Rights Movement”. His assassination occurred in Memphis, Tennessee at the business where he was staying which is known as the “Lorraine Motel”. King was only thirty nine years old at the time of his death. However, it was at that tender age that a sniper elected to take his life as he stood innocently on the balcony of the room he used often, number 306. Throughout this guide, you will learn many important facts about the Martin Luther King, Jr. assassination. On April 3rd in the year of 1968, Martin Luther King, Jr. went to a Mason Temple gathering to give the speech that is known as the “I’ve Been to the Mountaintop”. The Temple, which is located in Memphis, is the central headquarters for the organization known as the “Church of God in Christ”, which is considered to be the single largest Pentecostal group of African Americans worldwide. It was on that day that he experienced a situation on the airline that he flew into Memphis with. It was delayed because of the fact that a bomb threat had been made against it. 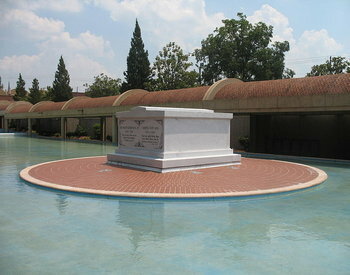 King had recently been in Memphis supporting African Americans that specialized in sanitation work. The workers that he supported had a walkout on the 11th day of February 1968. The argument was that they were getting paid less than Caucasians and had to work in conditions that were more severe than the whites. Furthermore, Caucasians were paid when they had to refrain from working due to weather, whereas, blacks were not. In reviewing the Martin Luther King, Jr. assassination, it is imperative to review the activities that took place prior to his death. 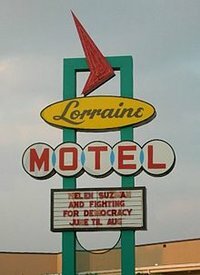 King often stayed at the establishment known as the Lorraine Motel when he visited Memphis. Today, this structure is known as the “National Civil Rights Museum”. The building was not spectacular. As a matter of fact, many have referred to it as being “Drab”. However, when King visited, he enjoyed lodging at the motel, which was located on Mulberry Street. On the evening before he was shot, he and his associates were preparing to have a dinner with a Memphis based minister named Billy Kyles. King was staying in the room that he always stayed in – room 306. Despite the fact that they were running a bit behind, he and his associate, Ralph Abernathy conversed on events that had been previously planned. At approximately 6:00pm, Billy Kyles and Martin Luther King, Jr. came out of the room and onto the balcony immediately outside of the room. Ralph Abernathy excused himself to his room for a moment, so that he could freshen up a bit before embarking on the adventure they were scheduled for that night. No one knew that the Martin Luther King, Jr. assassination was about to occur. Several individuals were waiting in the parking lot of the Lorraine Motel for King and his associates. Among these people were Jesse Jackson, Andrew Young and Chauncey Eskridge. Billy Kyles made his way down a few stairs, but King had turned to retrieve a topcoat from his room. Abernathy was still in his room. Out of nowhere, a shot was fired. The immediate suspicion was that a nearby vehicle had backfired. However, it was not too long before the individuals noticed that King was on the floor of the balcony by his motel room. Immediately, they realized that he had a serious wound on his right jaw. Abernathy heard the commotion and emerged from his room to see King on the ground. He immediately ran to him, assuring him that he was with him and that he would be alright. This is the event that led to the Martin Luther King, Jr. assassination. King was transported to a nearby medical facility for treatment, St. Joseph’s Hospital. While he was still breathing at the time, witnesses state that he was barely hanging on for his life. It was established that he had been penetrated with a rifle bullet that was .30-06 caliber. When the bullet entered the jaw region, it went through his neck. From there, it severed his spinal cord. It then lodged in the region of his shoulder blade. Despite the fact that emergency surgery was performed, the doctors were unable to stabilize King. At 7:05 pm on April 4th 1968. The Martin Luther King, Jr. assassination was official. A wonderful leader and man who had devoted thirteen years promoting protests in a nonviolent manner was now dead due to the violence of a sniper. Immediately after the public learned of the Martin Luther King, Jr. assassination, controversy, rage and violence erupted across the nation. The New York Senator at the time, Robert F. Kennedy, delivered the speech concerning the Martin Luther King, Jr. assassination. Interestingly enough, Robert F. Kennedy was assassinated just two short months following King. Kennedy had arrived in Indianapolis, where the Police Chief informed him that he should wait on providing remarks because the force was unable to provide protection and it could be a potentially dangerous venture. Despite these facts, Kennedy boarded the back of a truck that held a podium and delivered a speech about the incident in less than five minutes. When he delivered the news of the official Martin Luther King, Jr. assassination, many members of the audience had strong, emotional reactions. Kennedy stated that he understood what they were feeling. He stated: “I can also feel in my own heart the same kind of feeling. I had a member of my family killed, but he was killed by a white man.” This was the first time he had spoken in a public manner on the assassination of his brother, John F. Kennedy. He encouraged individuals to react in a nonviolent manner. It was this speech that is believed to have prevented numerous riots and is considered one of the best and most productive speeches in the history of the United States. Unfortunately, after the Martin Luther King, Jr. assassination, several riots did, in fact, erupt across the nation. Many leaders encouraged individuals to refrain from such an act as King would not have wanted riots to occur. He devoted his life to nonviolence, afterall. However, rioting was still reported in over one hundred cities. The most active cities in the riots were Washington, Baltimore and Chicago. This was especially true when the public learned that a white man by the name of James Earl Ray was responsible for the Martin Luther King, Jr. assassination. 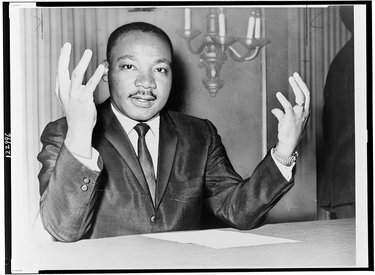 According to reports, immediately after killing the Civil Rights leader, he dropped the weapon that he used to kill King, which included his fingerprints. He also left behind a radio that included his prison ID on it. However, many believe that an individual of Ray’s capacity would never be able to slay the most influential leaders of Civil Rights and successfully evade the international search for him for over a two month period. Additionally, the fact that he left behind the weapon and other identifying belongings led many to believe that the Martin Luther King, Jr. assassination was a conspiracy. The Atlanta Mayor, Andrew Young, also believed that the government was behind the Martin Luther King, Jr. assassination. He has stated that at the time of the murder, that the politics associated with assassination was considered to be an acceptable practice in the United States, despite claims by the government that this was never true. Dexter King, Martin Luther King, Jr.’s son, met with James Earl Ray following the death of his father. Later, he expressed the fact that he did not feel that Ray murdered his father. Most individuals believe that the Martin Luther King, Jr. assassination was a means of silencing the man that was active in the anti-war movement and Civil Rights. 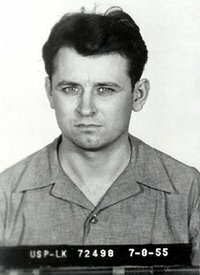 James Earl Ray pleaded guilty to the crime because of the fact that the authorities in the state claimed that he would not receive the death penalty. Instead, he received a sentence of ninety nine years. However, once he received the sentencing, he immediately retracted his story and informed others that he was not responsible for the Martin Luther King, Jr. assassination. Prior to his death, the organization known as the “Federal Bureau of Investigation” as well as the Johnson Administration opposed King’s overall resistance to the War in Vietnam, on the record. Then, to complicate matters further, J. Edgar Hoover made it known that he wanted disgrace to come upon King. As a matter of fact, he expressed an interest in rendering King impotent by what was described as “Any means necessary”. In reviewing the records associated with the harassment and overall slander associated with King, it is not at all surprising that many authority figures and citizens alike feel that the Martin Luther King, Jr. assassination was a conspiracy by the government. According to the historical information that we gather from the experiences with J. Edgar Hoover, we see that he believed that the ends of things justified the means. There is no official data that concludes that King’s death was a conspiracy. However, many individuals believe that it was, in fact, a way to quiet the respected leader. Today, the Martin Luther King, Jr. assassination is still considered to be one of the greatest unsolved mysteries of all time.